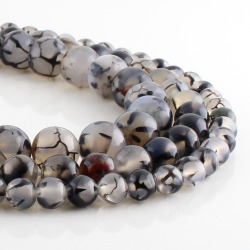 Gray dragon agate in holed round beads. 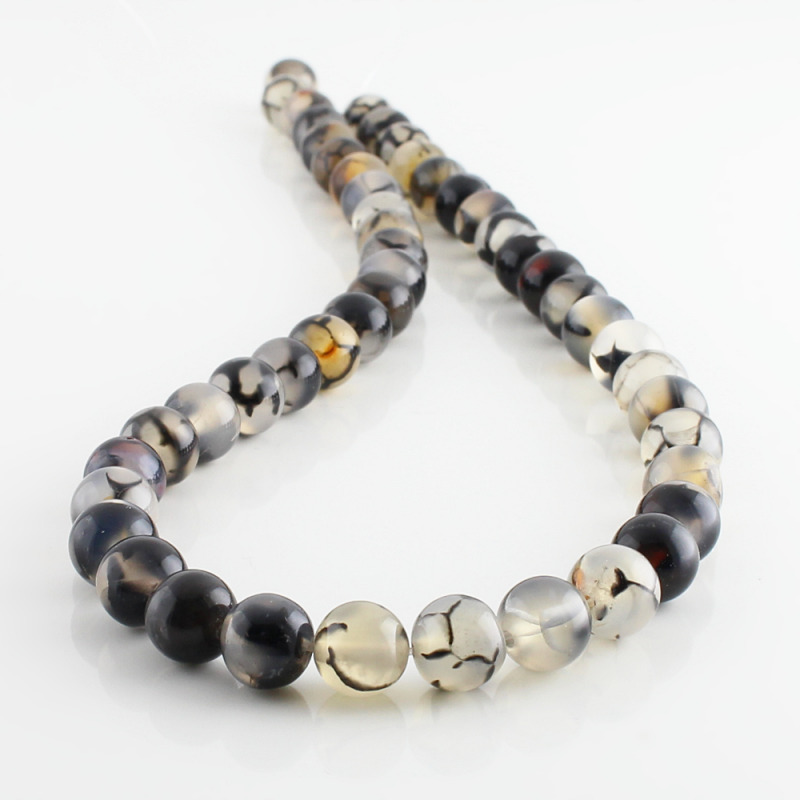 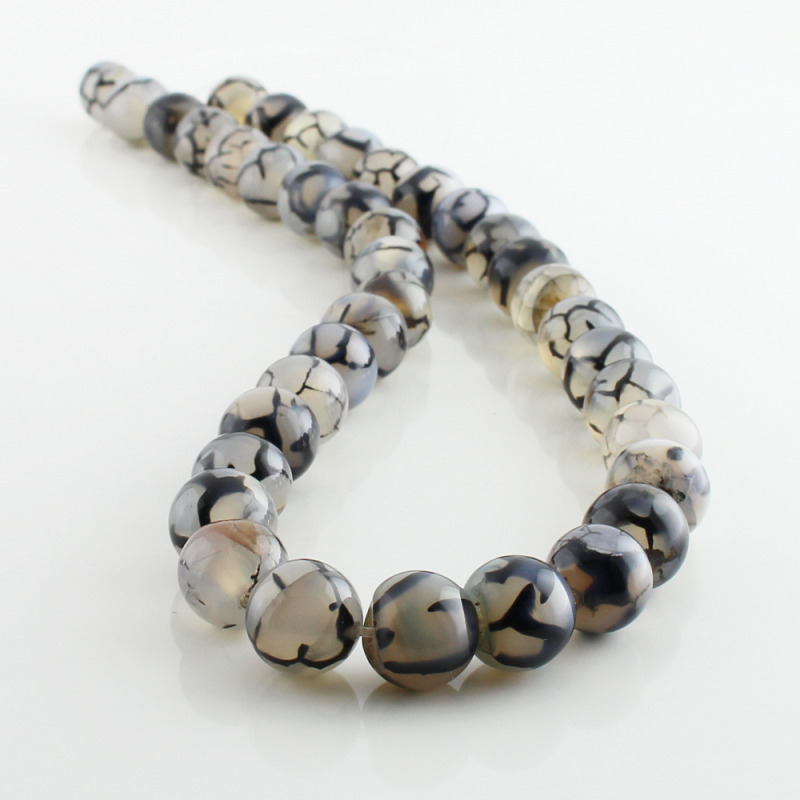 There are various sizes available from gray dragon agate round beads, strung into strands about 40 cm. 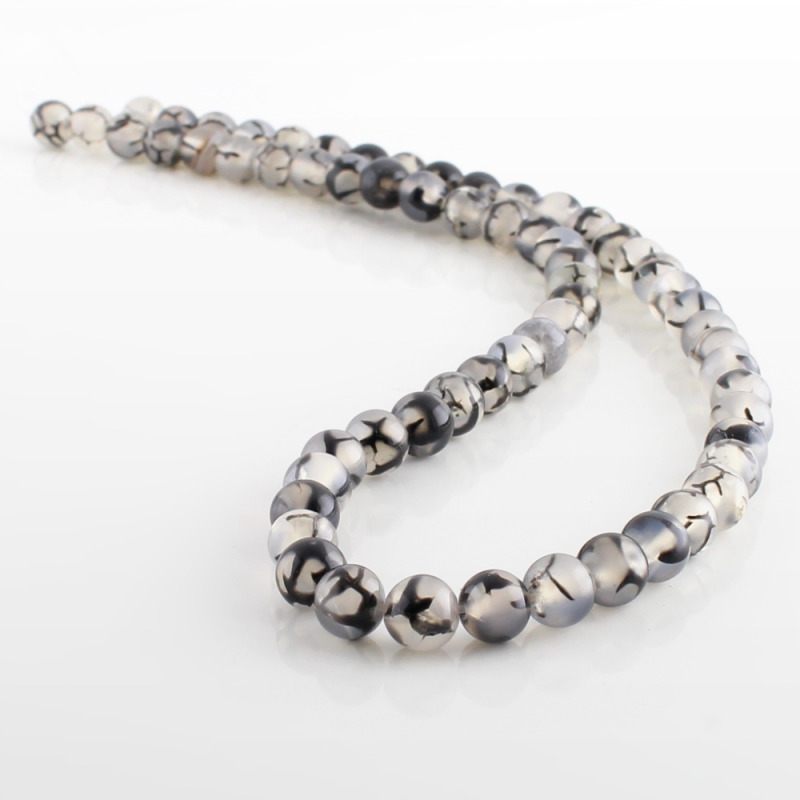 This is a peculiar semi-precious gemstone that has a gothic aspect of dragon skin. 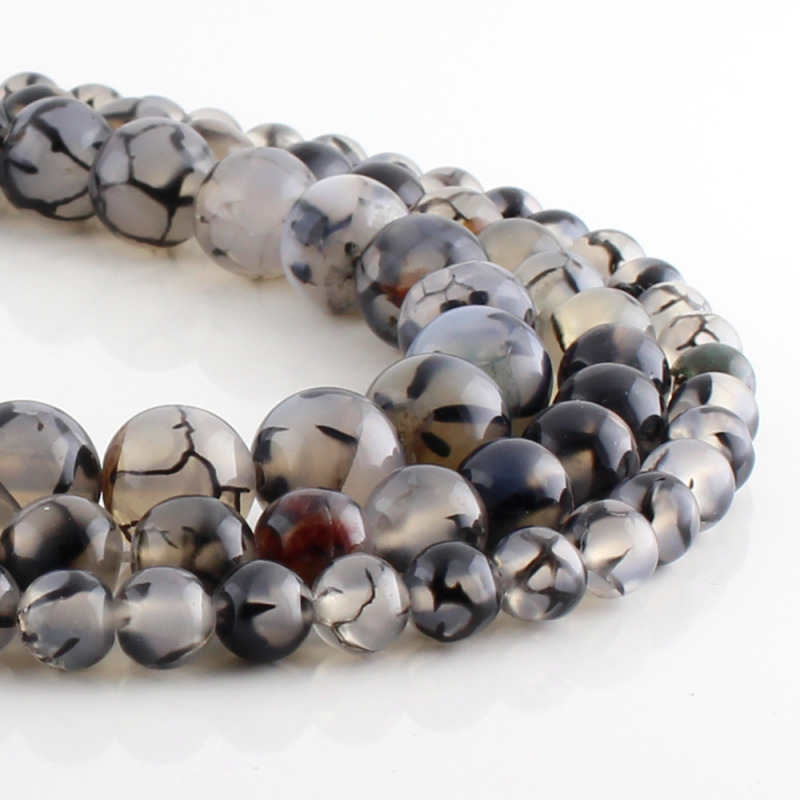 Crevices, of the natural crackle dragon agate stand out even more when dyed, enhancing the beautiful pattern formed by nature.